The US deputy assistant Secretary of State, Matthew Palmer has reiterated Washington’s stance that Pristina’s decision to impose tariffs on Serb imports must be scrapped in order to give way to dialogue with Belgrade. 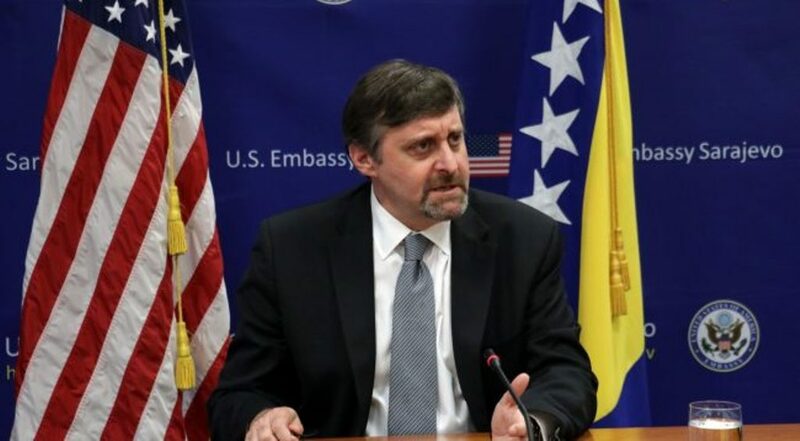 According to a press release issued by authorities in Washington, that Palmer and Kosovo’s minister for Returns and Communities, Dalibor Jevtic concluded that everything should be solved through dialogue and that the tax needs to be suspended. “The US’s support for peace and long-term stability in Kosovo is very important”, Jevtic declared. Recently, the US and European Union have put more pressure on Kosovo’s leadership to convince them into lifting the tariffs imposed on Serbian imports. According to them, this is the only way to resume dialogue with Serbia. Kosovo’s parliamentary speaker, Kadri Veseli declared on Monday that the tariffs on Serbian imports will remain, however, he demanded its suspension for a 120 period in order to preserve partnership with the US.